This is a responsive website which was developed using HTML5, Java script, Jquery, CSS, Photoshop . We have designed, developed and deployed the website. 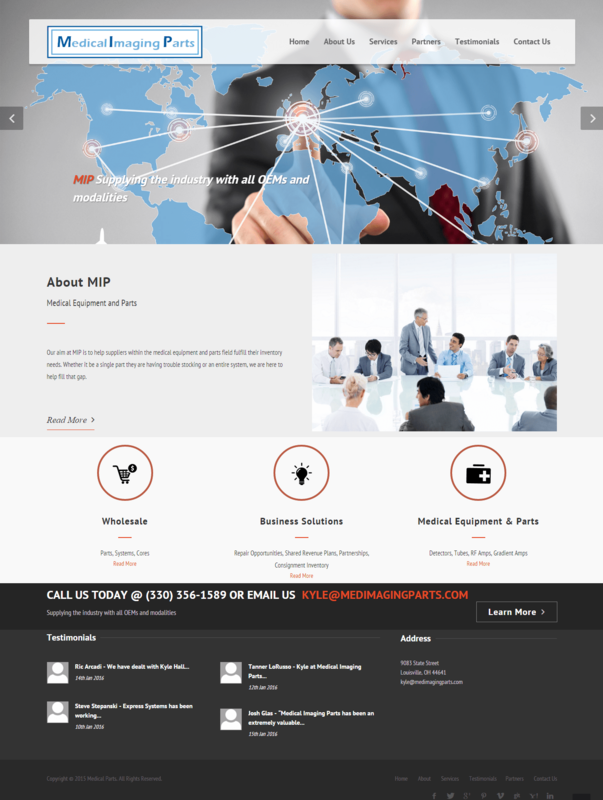 Website is for client to help his suppliers within the medical equipment and parts field fulfill their inventory needs. Whether it be a single part they are having trouble stocking or an entire system, they are here to help fill that gap. They even offer part cores that we sell in bulk. If he don’t have them in stock many times we can find them to replenish your repair streams. ?